It is certainly correct, the quote from "Rolling Stone" in August 2002, that the eponymous double album (re-released as LHC 007) was the real debut album of Improved Sound Limited. Still, there were numerous notable releases of the band even before that, all of which have, in different ways, specific and unique "Improved" characteristics which make them forerunners of the future sound. This album attempts to document those early years, as the music developed out of the "beat" culture of the sixties, with some input from the eclectic styles of west coast, psychedelic and underground, before heading in the seventies toward progressive rock and expressive ballads. Whereas CD No. 4, "Road Trax", contained primarily instrumental music for films by Wim Wenders and Erwin Keusch, CD No. 5 returns to vocals, in the band's chosen language of English, as in previous releases. In an article published on 15 April 1972 in the legendary "Melody Maker", Michael Watts wrote about German bands singing in English: "The most popular of these is 'Frumpy', who won a poll not long ago in a German magazine, but the most accomplished that I've heard is 'Improved Sound Limited'." Be that as it may, this album is both prologue and epilogue. But these pieces without opus numbers are anything but scorned rejects. 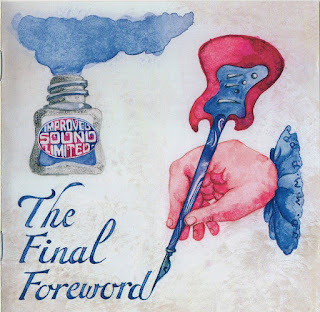 They run the gamut from the short hidden track by the "Pyjamas Skiffle Group" (as the band called itself around 1961) to "The Very Last Waltz" from 2002. Incidentally, even in the skiffle days, the band's instruments were "Improved". As the photo shows, Johnny and Axel had already traded their standard four-string guitars for the six string electro Spanish variety. Rolf was never satisfied with a wash board as the usual drum ersatz; he had a Sonor drum kit. Only the less discriminating Uli stayed with a self-made, original tea box bass, with two strings of clothes line. 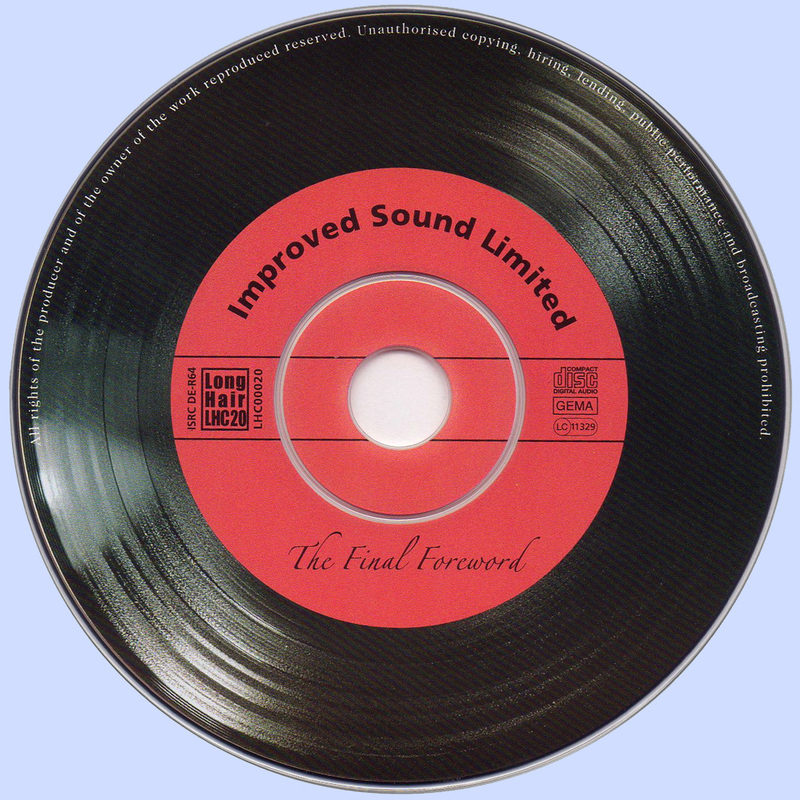 Improved Sound Limited released a total of four singles, two of which are on this CD: "It is You" and "Sing Your Song". The other two singles are not included here, for good reason. One had mono mixes of the nursery rhyme "Hoppe Hoppe Reiter" plus "I'm Exhausted" (the stereo versions are tracks 6 and 11). The fourth single contained rough mixes of "Oedipus" and "Where Will The Salmon Spawn" which are hardly different from the recordings on the eponymous double album LHC 007. Instead, I chose for this album the interesting original versions of both songs, as featured on the soundtrack of the TV show "Kommissar" in the episode "Dr. Meinhardt's Tragic End". Compare the audibly different atmosphere of the two versions. 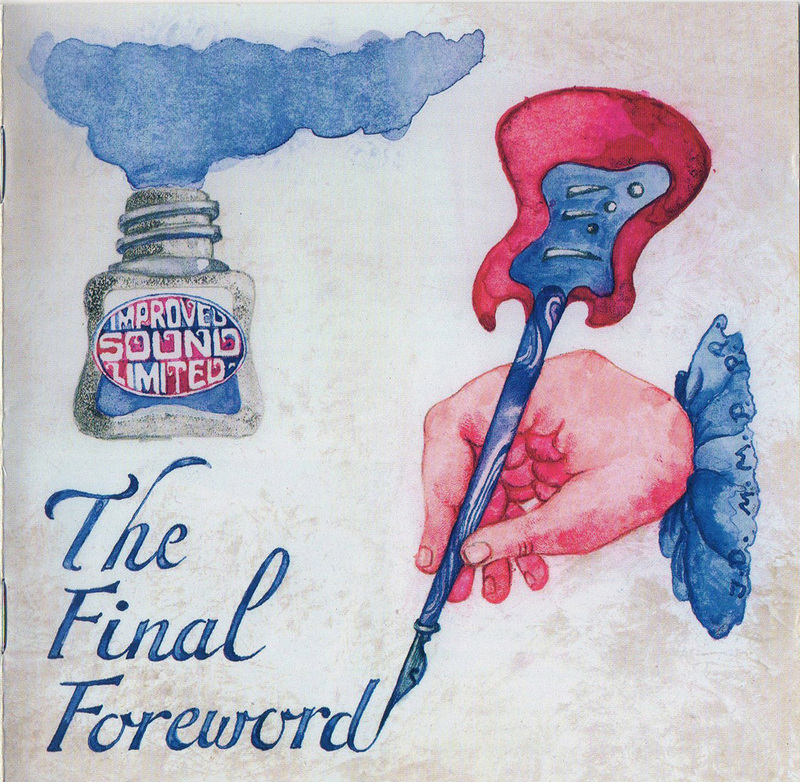 The track list of "The Final Forward" starts with the band's very first single, "It Is You" (B side: "We Are Alone"). With "It Is You", Improved Sound Limited won the beat music competition of Bavarian Radio in 1966, and with it a recording contract. They garnered the most points from a jury including noted classical composer Werner Egk ("Abraxas") and soundtrack specialist Peter Thomas, as well as tumultuous applause (105 dB!) from the audience. The single was then produced by Polydor's Gerhard Mendelson, who had tremendous success with the German language productions of Connie Francis, Rita Pavone, Gigliola Cinquetti, Gus Backus and Thomas Fritsch, among others. Unfortunately, the release came six months later, so the promotion effect of BR's airplay was lost. But "the beat goes on...". Tracks 3 and 4, "Marvin Is Dead" and "Sing Your Song", are songs from the film "Der Bettenstudent", directed by Michael Verhoeven. Behind the snappy title is the bestselling novel "Und so was lebt", in which author Finn Søborg sends up bureaucrats and administrators. The cast was strong: Gila von Weitershausen, Hannelore Elsner, Karl Dall, Stella-Maria Adorf and Christof Wackernagel. The next songs (tracks 5 to 12), from the film "Engelchen macht weiter - Hoppe hoppe Reiter" with Gila von Weitershausen and Mario Adorf, also resulted from the collaboration with Michael Verhoeven. Film producer Rob Houwer, who had made a deal with Rolling Stones guitarrist Brian Jones to do music for Volker Schlöndorff's film "Mord und Totschlag", was quite taken by the Improved Sounds and asked them for some music (see the booklet for the CD LHC 007). The success of the film, and also of the soundtrack LP and single on the Cornet label, would prove him right. On this CD are all significant pieces of music, omitting only smaller bits such as the backround music in a department store. Rob Houwer himself remixed the music (four track was then state of the art) for the film and the soundtrack album. It was slightly different from the mix on this album, which sounds less commercial but is preferred by the band. But getting back to Michael Verhoeven: he called on the "wonderful band from Nürnberg" (Verhoeven in the AZ, 11 Jan. 1969) for something special for an episode of the TV series "Kommissar" titled "Dr. Meinhardt's Tragic End". They gladly fulfilled his wishes, for example with a section reminiscent of Gainsbourg/Birkin in the middle of "Oedipus", or just a touch of Procol Harum's "Whiter Shade Of Pale" in the instrumental version of "Where Will The Salmon Spawn". Neither version has appeared before on any commercial recording. The same goes for the music for the TV series "Krempoli" (tracks 15 to 20), which was also directed by Michael Verhoeven and broadcast throughout Europe. Incidentally, a cameraman on the TV series was Joseph Vilsmaier, later himself a director of such internationally successful films as "Herbstmilch", "Stalingrad" and "Comedian Harmonists". The band immersed itself with enthusiasm and virtuosity in the series' plot and scenes, without sacrificing the unique "Improved" touch. For me, some tracks sound like early demos of songs on the "Road Trax" CD (LHC 017), for example "Down The Dusty Road", "Mexican Hat" or perhaps "Le fleuve tranquille". Also previously unreleased is the title song of a Fischer&Welz-/Kare-Kraus film called "Lass knacken, Ive", with an imaginative story and highly professional production in the tradition of the young Munich filmmakers. The cameraman was Peter Ettengruber, who edited Schlöndorff's film "Baal" starring Fassbinder in the title role. But the changing zeitgeist stood in the way of this film's success. What remains is the wonderful ballad "The Policeman", which with its mellifluence resonating in melancholy (please excuse the pathos!) could only come from one band: Improved Sound Limited. The quartet built up a fine reputation as a live band. This makes it all the more unfortunate that I have been unable to locate any surviving recordings at the numerous sources contacted, for example a tape of their appearance at Constantin Film's German premiere of Andy Warhol's film "Trash" in Munich, at which the band was praised by Warhol and his star, Joe Dallessandro. It is also sad that there are no recordings of their various works for the theater, which drew national attention. Improved Sound Limited provided the music for the German premiere of Fernando Arrabal's "Bella Ciao", by the director of the world premiere at the Théâtre National Populaire in Paris, Jorge Lavelli. The "Frankfurter Rundschau" wrote of an "important, stimulating evening of exciting theater. Improved Sound Limited, which led the tonal troupe in a show/revue which reminds somewhat of "Mahoganny", performed their own compositions just right for the theater." The "Abendzeitung" (Norbert Neudecker) noted "musical numbers which range from highly rhythmic, resonant sounds to schmalzy tango, all extremely attractive and thus appropriate in their ironic context." The "Weserkurier" (Rainer Wagner) reported that the "renowned pop group Improved Sound Limited wrote and played appealing and imaginative songs for this spectacle." The acerbic theater critic Hans Bertram Bock asserted in his review, "the band demonstrated with precision and in responsive collaboration with the other participants their brilliant abilities." The sheet music has survived, any tapes that may have been made have not. But I personally am happy and satisfied with the five CDs (a total of 84 tracks) we have assembled. Concerning the fifth one, I agree with the magazine "Sounds" (Nov. 1973): "Improved Sound Limited reminds at times of the late Beatles, at times of the Byrds. All their songs are very clearly crafted compositions, sound pleasantly fresh and still reflect a lot of experience." I don't want to conclude my essay without sincere thanks to the band for their cooperation, and also for providing me with numerous recordings and photographs. I am especially grateful to Johnny Fickert and Bernd and Axel Linstädt for fulfilling my request for a very special encore, "The Very Last Waltz", recorded in 2002. I like it just as much as the old "Improved" songs. I almost wrote "classics", because it seems the more I hear them, the more I like them. I think R.W. Schmidt wasn't far from the mark when he quoted Michael Verhoeven in the April 1969 issue of the then trendy magazine "twen": "These guys are in a class of their own in Germany." And I agree with both his overall opinion and with the last sentence of his article: "To paraphrase Richard Wagner, Improved Sound Limited are the ‚Meistersingers of Nürnberg'."